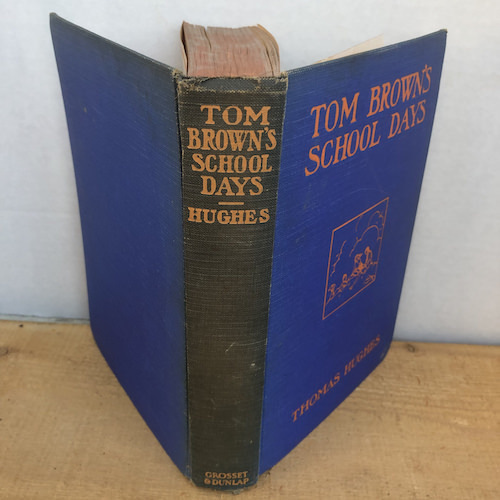 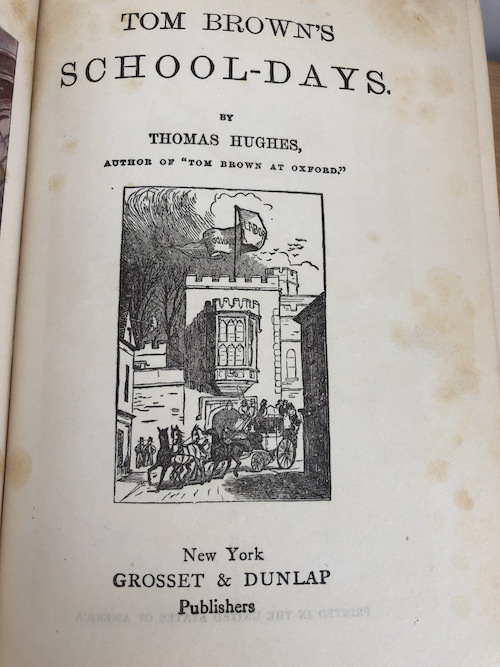 1935 edition of the 1857 novel by Thomas Hughes, about a boy named Tom Brown who attends Rugby School for Boys. 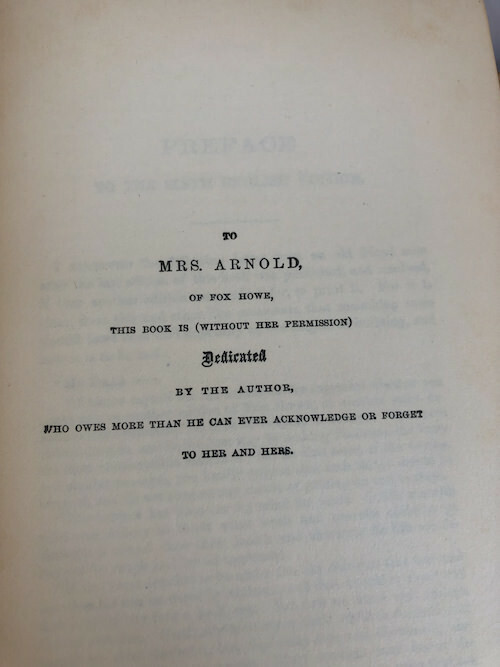 It's assumed to be largely based on the author's own time as a schoolboy there from 1834 to 1842. 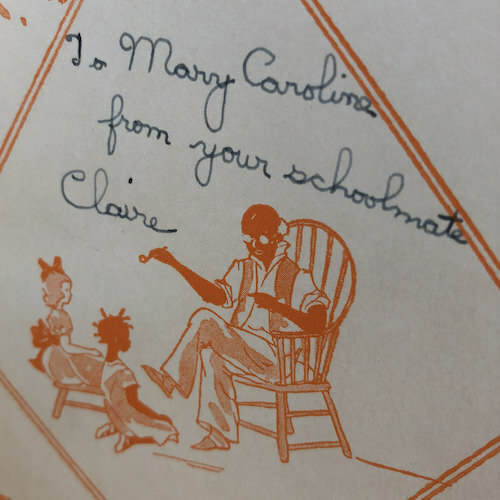 Many of the characters are based on real people, including the headmaster of the school. 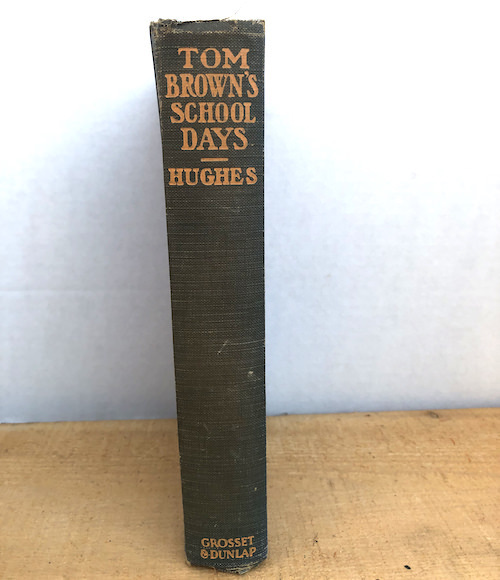 The book has spawned multiple TV and film adaptations and is seen as an influential title in the British school novel genre. 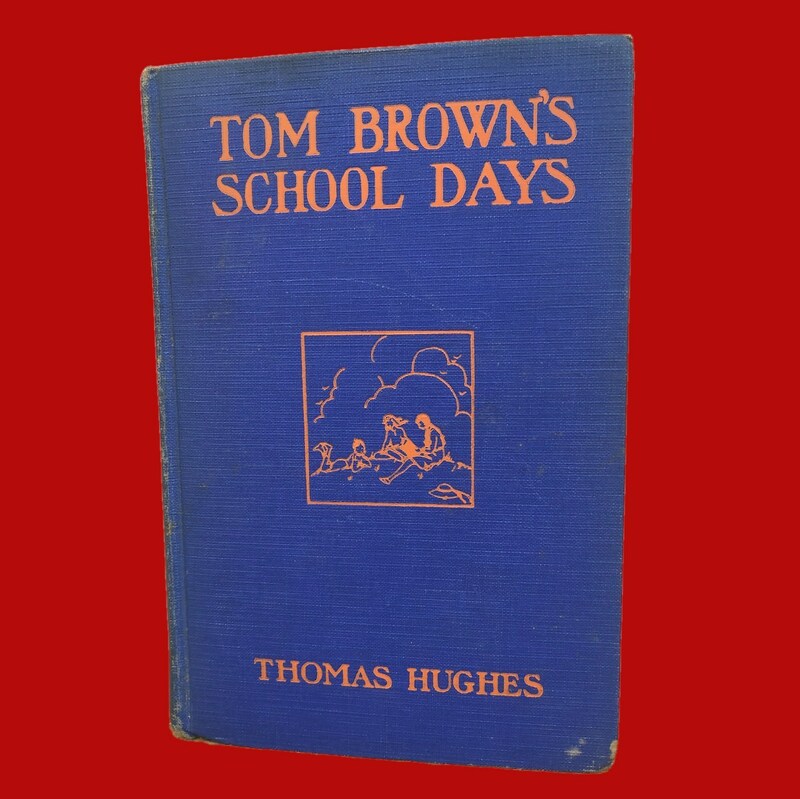 The sequel, "Tom Brown at Oxford," came out originally in 1961. 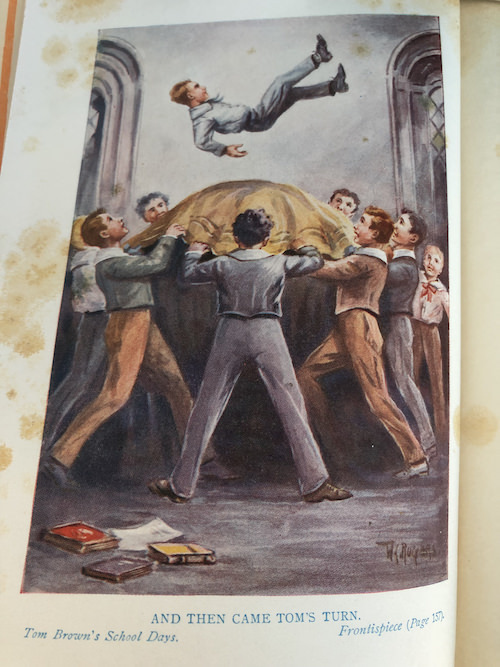 As with most of the Grossett & Dunlap young adult books of its era, this one features a great color illustration at the head of the book (see photo). 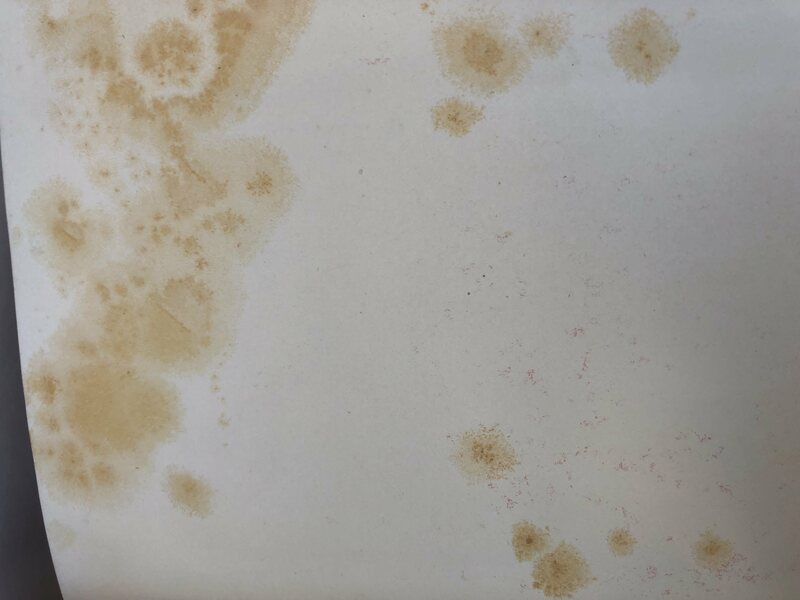 CONDITION:Some strange spots - see photo. 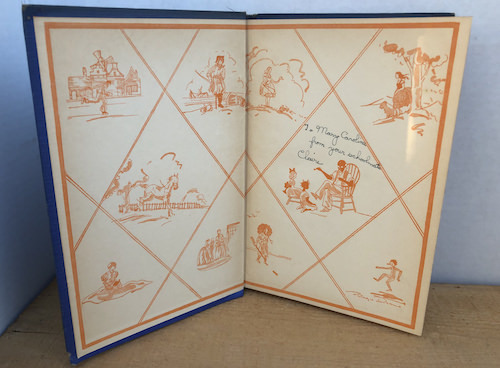 OTHER CONDITION NOTES:Gift inscription - see photo.